BRING IT HOME, JOE – Brayden Klassen, third for Joe Wallingham’s Yukon men’s rink, calls the line during action at junior nationals in Corner Brook, Nfld., last week. 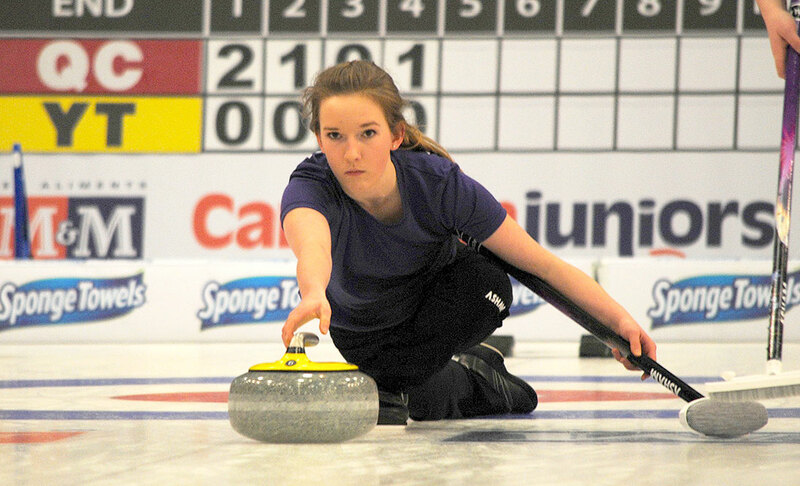 The territory’s top junior curling rinks finished with identical 3-6 records at nationals last week. After failing to get past Prince Edward Island in a championship round tiebreaker Tuesday, Joe Wallingham and company finished with three seeding games. 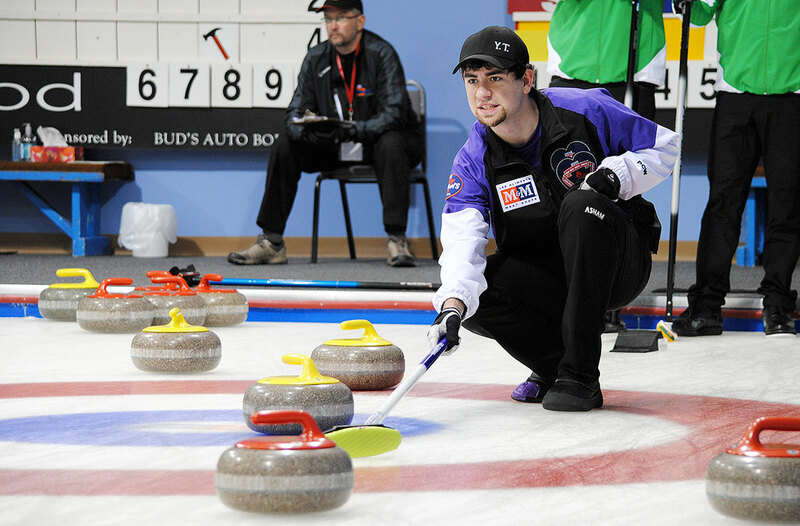 Wallingham loss back-to-back games Wednesday, 9-8 to Newfoundland and 8-6 to Nova Scotia before capping his tournament with a big win Thursday. His Yukon men’s rink pounded Nunavut 7-3, scoring four in the third to go ahead early. Meanwhile, Bailey Horte and her Yukon women’s rink rounded out their tournament with a 9-7 victory over Newfoundland Wednesday, and a 7-5 loss to P.E.I. Friday. The Yukon curlers paired off with rivals for a fun mixed doubles event over the weekend. Manitoba’s Braden Calvert and Alberta’s Kelsey Rocque each defended their 2014 titles with gold-medal wins. NOTES: Youth curlers age 19 and under are invited to register for the Doug Johnson U19 Scholarspiel slated for March 7 and 8 at the Whitehorse Curling Club. Email executivedirector@yukoncurling.ca to register.